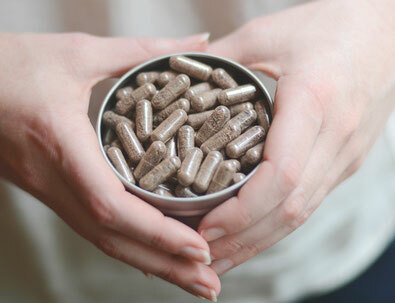 The purpose of placentophagy by the birth parent is to reintroduce the beneficial vitamins, minerals, hormones, proteins, and other nutrients to their body following labor and birth of their child. This is thought to help restore a more balanced body function, prevent “baby blues” and the more serious postpartum depression, increase milk production, shorten healing time, increase energy levels, and provide an over-all feeling of wellness to aid in the transition between pregnancy and the early postpartum period. While I do not use the traditional Chinese Medicine practice of steaming with herbs and spices, I follow USDA food safety guidelines in my placenta preparations. This includes a complete wash of the placenta, removal of blood clots, and any other infarctions. Followed by steaming the placenta to an internal temp of 165 F and then thinly slicing the placenta and dehydrating it until all the moisture is removed. The length of time depends on size of placenta, weather and other conditions, but dehydration usually takes around 24 hours at 145 F. When the placenta is completely dehydrated, it is then ground and encapsulated. I do not add any herbs or foreign materials to the placenta pills (unless specifically requested and provided by clients). Capsules last 6-12 months stored in the refrigerator and can last for years if frozen. The above outlined Encircling Mothers Encapsulation Service is provided for a total fee of $250, or $200 if you are also in contract with Encircling Mothers for Birth Doula services. Encircling Mothers Doula Services is not a pharmacy, pharmaceutical representative, holistic practitioner, herbalist, or medical doctor. Benefits of placentophagy are supported by ongoing research but have not been evaluated by the Food and Drug Administration. Placentophagy, as it pertains to this contract agreement, is for natural nutritional supplementation and is intended solely for ingestion by the person who has birthed the placenta, is a natural nutritional supplement and as such cannot be guaranteed to produce specific results.